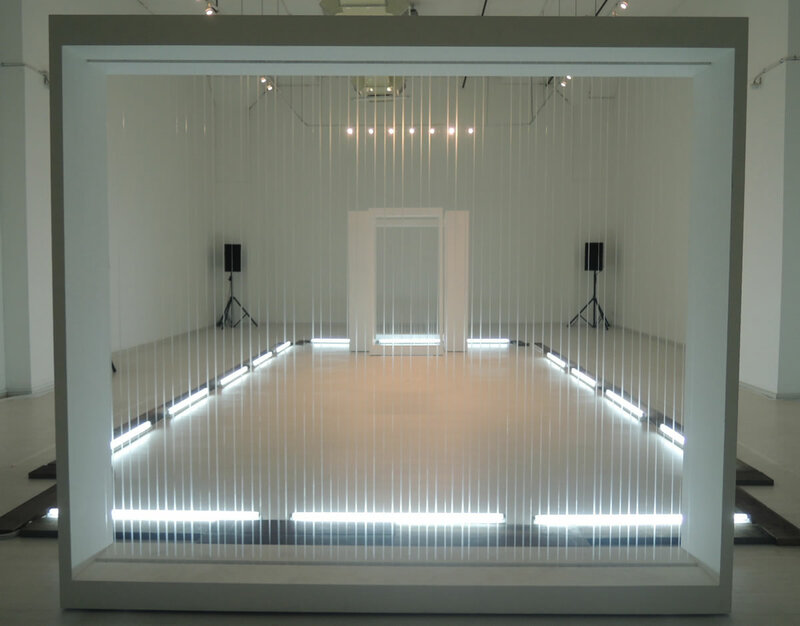 This interview was originally published in the exhibition catalogue of SOUND: Latitudes and Attitudes, held at the Institute of Contemporary Arts Singapore from 7 February – 16 March 2014. 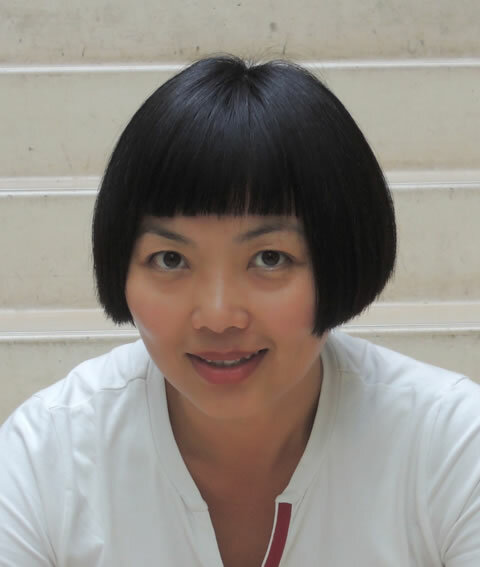 Dr. Joyce Beetuan Koh is a Singaporean composer and educator whose artistic work spans various forms, from concert music to interactive sound installation. Working in both acoustic and electronic media, she has collaborated extensively with choreographers, theatre directors and visual artists in numerous interdisciplinary projects. In the following interview, Koh speaks with Bani Haykal about her journey as a composer, her processes and values. [Bani Haykal] Let’s start by talking about your work from a broader perspective, seeing that you are involved in projects that cover different grounds and disciplines. How do you distinguish between music, sound art and design? [Joyce Koh] I was trained primarily as an acoustic composer. The process involved many years of practice in counterpoint and harmony. This practice formed the foundation of my attitude towards music within the framework of concert music. It determined the approach I took when I dealt with musical material. Nevertheless, when I began to investigate electronic music in 1996, my attitude towards music changed. Music became sound to me. Sound became a complex entity with various components. It became an object that moved in time. It has frequency, amplitude, timbre, energy and spectrum. The idea that sound is a physical phenomenon has since shaped my compositional thinking. Prior to investigating electronic music, I was already working with the concept of timbre, exploring and thinking about sound as a timbre quality. As early as 1991, I had organised groups of instruments in such a way that I could create a specific, or perhaps unique type of complex sound. Only such a combination could bring forth the particular sound I wanted. It seems like a natural evolution to have first thought about sound as timbre and then as a complex entity where timbre is but one of many parameters. The year of music computing study at the Institut de Recherche et Coordination Acoustique / Musique (IRCAM) in Paris was an eye-opener. I worked on a project for accordion and live electronics. The idea of real-time digital processing fascinated me. And how risky working with live electronics was! Each performance had a different shape. This uncertainty or rather instability drove the adrenaline to a high level. It’s live electronics that I’m working with and not a fixed medium. Ah! I’ve never looked back since. I still investigate sound — sound as sound — with all its universal truths. There will always be form, direction and shape in music. In 2010, I created the work On the String for live performance, pipa, harpsichord, fourteen string instruments and two new interactive sound installations. This was a collaboration with two other artists, Khiew Huey Chian, a visual artist, and PerMagnus Lindborg, a designer of interactive sound. The installations began as physical objects. Through the course of the composition, they became interactive sound objects. By the time of the production, they had transformed into musical instruments. It’s true that I’m expanding my scope. Nonetheless, at the core, I remain the same: my focus is on sound as a “complex”, with various components and behaviours. Do you also pursue this approach when you write for acoustic instruments? Yes, definitely. An example is the accordion concerto I composed in 2003, Divergent Plates. The interesting thing about the accordion is the paradox between its two independent keyboards and the shared bellow. This effectively means that there can only be one (common) dynamic level. I have imagined what it would be like to be in the bellow, and embraced by two enlarged and oversized [accordion] arms. This image of embrace eventually determined the spatial distribution of instruments, in particular the percussion instruments. This arrangement produced a stereophonic effect. At the same time, the physical layout of the four percussionists — one on each wing of the audience and two on stage — accentuated the effect. To extend this notion of space, musical motifs were passed from one percussionist to the next sequentially in a circular motion to create a 360-degree surround movement. I’m interested in architecture, especially how a certain space determines musical movements and enhances musical behaviours. I apply these approaches to my compositional thinking. Was this concerto performed in Singapore? Yes, we had two performances, in Singapore and in Stavanger, Norway. Both were performed in 2003 — ten years ago! Are you often invited to present works like this again? It is indeed easier to get a commission than to present a performance a second time. The accordion concerto was a co-commission by the Singapore Symphony Orchestra and the Norwegian accordionist Frode Haltli with funds from the Norwegian Arts Council. Frode performed both times, first with the Singapore Symphony Orchestra conducted by Okku Kamu, then with the Stavanger Symphony Orchestra conducted by Susanna Mälkki. The Norwegian Radio broadcasted the live performance in Stavanger. In October 2013, Hong Kong’s Radio 4 also broadcasted the Norwegian performance. Almost all of my works have been performed at least twice by different musicians in different cities. I’m very happy about that. Few and far between. Why? The reason I ask is because I come from a band background and bands typically carry the same set list to be used at all their gigs for a certain period, so I wonder if there is a discrimination against locally composed works in the contemporary scene. I mean, why can’t a work be repeatedly performed in the same way that a band would with their music? You’re absolutely right, Bani. Just imagine: I have built up my band, developed a repertoire and an ensemble sound. It is natural that when I go on tour I take this repertoire with me. In some cases, I might even commission a composer to write especially for our specific band sound, which the band will showcase on tour. You would have imagined that this would apply in Singapore. Ask any international orchestra — they would be doing this. But not ours. Your work has a strong presence outside of Singapore, and that’s great. You would think that it should have the same presence here. I think a work needs to be heard often, or at least more than just once. Let me turn the question back to you: why do you think it’s important? I wonder how much a composer or artist’s work can contribute to our cultural landscape and how we perceive, understand and listen to sound. I think being able to listen to or experience a work more than once is necessary to develop a more meaningful understanding of it, or a more meaningful relationship with the composer through the work. Why can’t it be played more than once? I don’t think it’s a matter of how well one understands sound or whether they have an in-depth knowledge of it, but it’s more about being able to cultivate or nurture an appreciation for sound and music, that to me has a significant effect in cultural formation. Perhaps it has to do with how sound is in fact the least developed artistic form. The visual arts, encountered through seeing, are often considered the most developed. One can buy “visual arts”, but rarely sound. Sound is time-based; this means you have to dedicate time to listening to the sound — let the time and sound pass, so to speak. You can have a painting on your wall, you can choose when you wish to see it. It is certainly not the case with sound. The ears are the least developed but the most sophisticated faculty. Sound is the most complex. And because it is complex, it is difficult to be absorbed or even to comprehend immediately. Of course I would like my music to be performed a lot more in Singapore. I suppose the kind of music I compose does not yield immediate appreciation. Unlike popular music, my music does not lend itself to foot tapping. But the time will come when the audience is able to go beyond tunes and beats. I’d like to draw a parallel situation with those in the “underground” or alternative scene. The only reason I’m drawing this parallel is because of the nature of the work itself. I wonder if space is a huge issue or constraint when it comes to performing or presenting these works? Definitely, but space is only one aspect. I believe the composers of the “underground” scene are the musicians themselves most of the time. They compose and perform, which is in fact the traditional procedure. Similar to folk or traditional music, the pipa player is both the composer and performer. He or she performs and composes for his or her instrument. However, in art music composition situations, the relationship is different. The composer writes the music and another performer or musician performs the music. His or her music will return to the drawer if it is not performed. From this perspective, the composer is at the mercy of the musicians. Musicians who are not interested in new music are a major factor in obstructing the development of contemporary music practice. Musicians who are interested in extending themselves and learning new techniques will put in the hundred hours needed to achieve them. I think that if you don’t play new music, your technique will be limited. The framework of concert music is different from that of the “underground” or alternative scene. I don’t suppose we should compare them too closely. As a challenge, would you take on the role of a composer for the alternative scene? For instance, would you consider composing a piece for noise group Circuitrip? No, I wouldn’t. They are happy in existence where they are and they would want to write their own music. Why would they need someone to tell them what to do? I wouldn’t want to disturb them. I am a strong believer in self-motivation. If I were a musician looking to improve my technique — and by improving, I mean to go beyond Tchaikovsky’s Violin Concerto — I would examine the work of Dmitri Shostakovich, Salvatore Sciarrino or György Ligeti. As a student composer, I would study the music of Elliot Carter or Helmut Lachenmann, for example. It must come from within you. Today’s musicians can look to living composers and ask them to write for them, for their specific technical repertoire. In a nutshell, the desire must come from the motivation of the musician. How was that journey or that crossover for you from the acoustic to the digital realm? It’s not so much a crossover as it is an expansion. I like to think that I’m continuously “upgrading” myself, never content with what I know. If one day I feel drained, I must be able to rely on what I have learnt before. In every project that I undertake, I know it will be hard work to find new experiences and strategies. For the last twelve years, I’ve been involved in interdisciplinary projects. I don’t work with sound effects, or in a decorative manner. 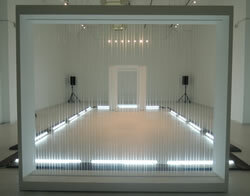 Sound is central to these projects, it is what drives the visual work, for example, in the 2010 work On the String. My collaboration with Angela [Liong] from the Arts Fission has become an evenly balanced effort between music composition and choreography. She has been very trusting of the sound world I provide. I suppose that’s why our collaboration has been sustained and rich in seven years of working together. Let’s talk about your collaborations. Sure, but I would like to establish something first. I have been composing since I was twenty. My musical motivation has come from the perspective of acoustic composition. Nonetheless, through the possibilities of digital manipulation and my architectural interests I have been able to expand small ideas to take on a 3D form. This expansion is most evident in the interdisciplinary projects. The process has provided me with unimaginable energies and new dimensions to the original idea. I’m so glad about the way my language has developed. This has been at the heart of your collaborations. Yes exactly. I’ve been involved in different types of collaborations. In the work with Angela and the Arts Fission, it has been about understanding each other’s process, æsthetics and language. The collaboration has been “side by side,” where we examine an issue or subject in parallel. The outcome is thus an encapsulation of two processes merging. Angela has allowed me to find my own language, interpretation and sonic counterpoint to dance choreography. Another person with whom I have undertaken many collaborations is PerMagnus Lindborg, a composer and sound artist. He is also my husband. We met when we were both in Paris at IRCAM pursuing computer music. He too comes from an acoustic composition background. He is definitely much more at ease with music computing and equally strong conceptually. PerMagnus and I have worked together on about eight projects since 2001. Our collaborations are sound-based. In On the String, Per and I worked at the level of concepts and music computing techniques. He designed the interactivity of the installations, while I worked on the overall direction and conception of the production. You have sustained very close collaborative relationships that last for long periods. Can you tell me about other collaborators with whom you have such a relationship? Currently, I am collaborating with Steve Dixon on a project based on T.S. Eliot’s The Waste Land. It is a multimedia production with live performance, images and sounds. I am responsible for the sound design. It is almost operatic. The production features Steve as the only live performer — he recites and begins to “re-live” the poem. On a screen behind him, the poem’s imagery unfolds in a stream of visuals. Steve has also produced and created the visual images. 1[1. See Joyce Beetuan Koh and Steve Dixon’s article “The Music of T.S. Eliot’s Poetry: Integrating text, live performance, sound design and video in a multimedia theatre production of ‘The Waste Land’” in this issue of eContact! for more on this project.] The production opened in mid-March this year. The attitude you have towards sound and music in your collaborations is that they’re not decorative, as you have pointed out earlier. Has this always been the case? I have a strong language. You can’t ignore it. I don’t do commercial music. I don’t customise music to someone else’s taste. I believe there is a strong reason, my raison d’être, why a sound should be the way it is. I am uncompromising. I’m not easily moved. You’ll have to know my music to want to collaborate with me. You’ll have to reckon with it… but I’m flexible! With such a strong perspective on the importance of your musical language, has there been a central influence — a composer, for example — who has helped shape your work, or did your language naturally evolve over time without this? There are three composers who have influenced my attitude towards sound; Edgard Varèse, Ligeti — I love the humour in his work — and of course my teacher, David Lumsdaine. David, an Australian-English composer, is my artistic father. I will always pay tribute to him, for he has taught me not only about sound, but also how to relate to the sound, respecting it as a living being. And Ligeti is Ligeti. I have not studied with him so I don’t have a personal relationship with him. I greatly admire the way he is able to transcend the unnecessary seriousness of contemporary music by creating something new such as quirky textures without pretence. I have seen him at work during rehearsals and the way he communicates with the musicians. All his works are masterpieces to me. Of course I have not had the chance to meet Varèse, since he passed away before I was born. I admire the way he believes that he is writing for the future. He writes sound for sound itself. It is not just the sound that you leave behind when you go, it is what you do to that sound. That’s what I strongly believe in. I have come across a number of composers who are geared towards imagining the future of music and what future sounds might be like. For instance, in Anthony Braxton’s work, he’s imagining what music might be like, say, fifty years down the road. How relevant are these imaginings or attitudes to your work? I’m not concerned about that. In some ways, I’m hedonistic. I write what I want to hear and do what I believe it should be. I can’t predict. I think of music only within my sphere. I’m not interested in club culture; though there can be many unusual sounds, that kind of sound doesn’t sustain me at the level of large-scale form. I feel that in order to achieve a convincing expression at the large-scale formal level, it requires time — a kind of time that is not about “now”. This level needs to be processed and it cannot be done live… unless you are super! It is seldom that I come across super improvisers who are able to sustain a large-scale form over a long time, and yet carry musical meanings. If my music stays, it stays. If it doesn’t, it will be beyond my control to do anything about it. It will speak for itself, maybe a hundred years later? It is thus not interesting for me to predict. I have many things on my mind that I want to do well. I do not wish to be a clairvoyant. Nice one. Wouldn’t you agree? What confidence Varèse must have had to be able to articulate that. Bani Haykal experiments with text and music. His work stretches across various disciplines including dance, installation, poetry and theatre, often investigating cultural and socio-political climates coupled with perceptional affects. He is a member of b-quartet and audiovisual performance group OFFCUFF. As a soloist, he works primarily with acoustic instruments, both traditional and/or hacked, and his studies revolve around narratives, structured improvisation and spoken word. 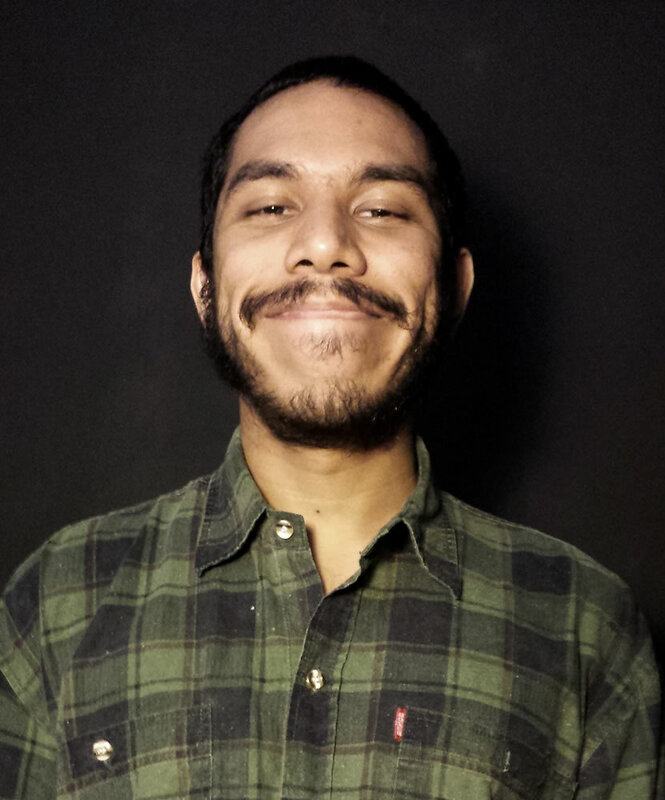 An Associate Artist with The Substation, Haykal has collaborated, exhibited, performed and toured in local and international festivals including Media/Art Kitchen (Indonesia, Malaysia and Philippines), World Event Young Artists (UK) and da:ns Festival, among others.